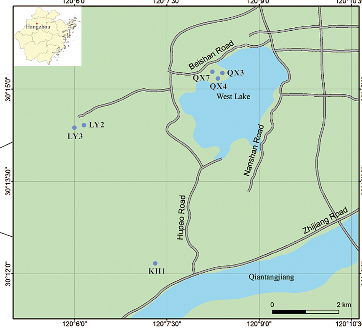 New papers on Microbiology of the Built Environment, September 25, 2016 – microBEnet: the microbiology of the Built Environment network. Just as our bodies teem with microbial life, so, too, do the homes, offices, schools, and other indoor spaces where we spend the majority of our lives. Scientists across the globe are now taking a closer look at the bacteria and fungi that live alongside us. 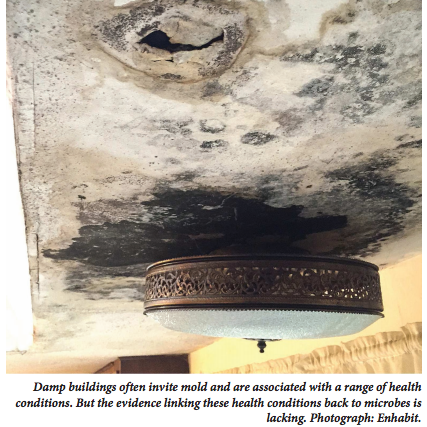 They want to better understand whether indoor microbes affect our health and whether we–through the ways we design and live in buildings–shape their communities. Researchers in this emerging field known as the microbiome of the built environment come from varied backgrounds, including architecture; ecology; evolution; and heating, ventilation, and air-conditioning (HVAC) installation. But many of them share the same goal: to design buildings to encourage microbial ecosystems that benefit human health. 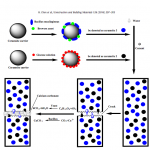 (…) This study presents a bio-restoration method to improve the self-healing effectiveness of the cement-based materials cracks rapidly. 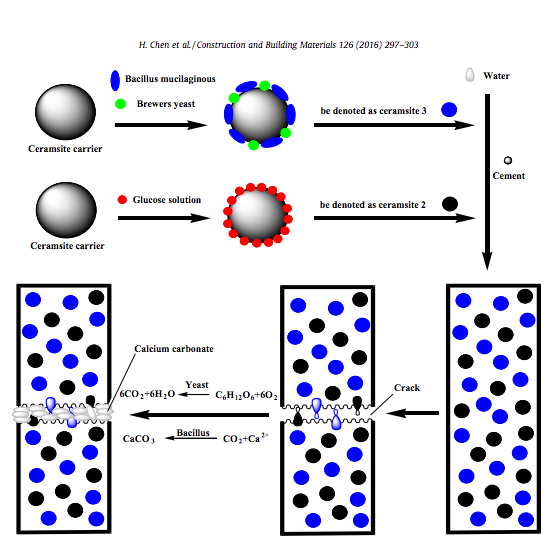 Ceramsite carrier was used to immobilize bacteria, while substrate and nutrients mixed evenly were immobilized into other original carrier. (…) The area repair rate of section surface of the samples with bacteria and nutrients immobilized into ceramsite was run up to 87.5%. 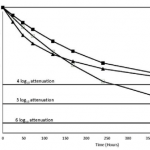 The flexural strength of specimens repaired could increase from 56% to 72% than other microbiological methods. SEM/EDS and XRD analysis results show that the precipitation formed in cracks is calcite. The persistence of poliovirus over time was studied on three different fomite materials: steel, cotton, and plastic. Known concentrations of poliovirus type 1 were applied to the surface coupons in an indoor environment for various lengths of time. (…) While the preferred model varied by fomite type, the virus showed a rapid initial decay on all of the fomite types, followed by a transition to a more gradual decay after about 4 to 8 days. 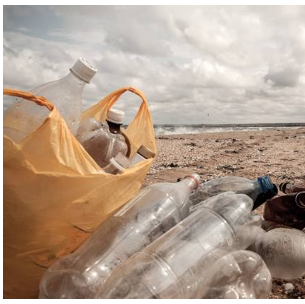 Estimates of the time for 99% reduction ranged from 81 hours for plastic to 143 hours for cotton. A 6 log reduction of recoverable infectivity of poliovirus did not occur during the 3 week duration of the experiment for any of the fomites. 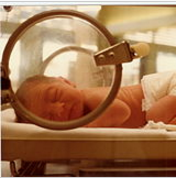 In protected indoor environments poliovirus can remain infective for weeks. The models identified by this study can be used in risk assessments to identify appropriate strategies for managing this risk. Unmanned aerial vehicles (UAVs) could potentially be used to transport microbiological specimens. To examine the impact of UAVs on microbiological specimens, blood and sputum culture specimens were seeded with usual pathogens and flown in a UAV for 30 ± 2 min. Times to recovery, colony counts, morphologies, and matrix-assisted laser desorption ionization—time of flight mass spectrometry (MALDI-TOF MS)-based identifications of the flown and stationary specimens were similar for all microbes studied. The sampling site, photo by Suzanne Young. 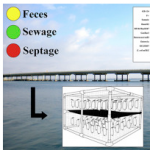 At the Harwood Lab at the University of South Florida, we study how resistant bacteria survive in the environment and the impact sewage entering recreational waters might have on human health. 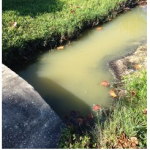 In fact, we found vancomycin resistant enterococci (VRE), one of the most common causes of hospital acquired infections, in water and sediment near St. Petersburg, Florida after a domestic sewer line break in September 2014. Aims: Compare the rate of growth of four microbial strains that cause disease in the equine, on four commonly used types of bedding. 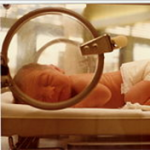 (Note EB: five types of bedding were tested). The moisture holding capacity of each bedding type was also tested. (…) Conclusions: Factors resulting in the inhibition of bacterial growth include the anti-bacterial effects reported in the Pinacea family and the physical properties of the bedding substrate. 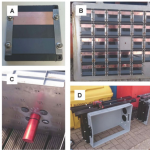 Photographs of the ultrasonic anti-fouling testing apparatus. 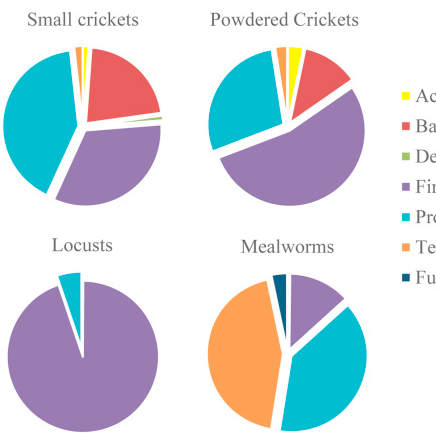 Relative abundance (%) of phyla present in edible insect samples. 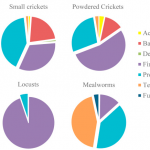 The aim of this study was to elucidate the microbial species occurring in some processed marketed edible insects, namely powdered small crickets, whole dried small crickets (Acheta domesticus), whole dried locusts (Locusta migratoria), and whole dried mealworm larvae (Tenebrio molitor), through culture-dependent (classical microbiological analyses) and -independent methods (pyrosequencing). 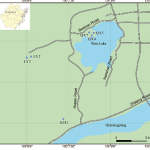 A great bacterial diversity and variation among insects was seen. 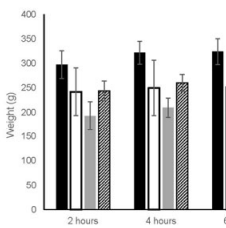 (…) The results of this study contribute to the elucidation of the microbiota associated with edible insects and encourage further studies aimed to evaluate the influence of rearing and processing conditions on that microbiota. 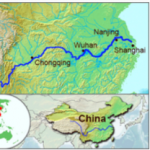 The course of the Yangtze River through China. Source: Wikipedia.